Thank you for sharing the positive experience you had at Palmetto57 Volkswagen. To make referring and earning as easy as possible, we’re offering the Friends and Family Referral Program to our dedicated customers. 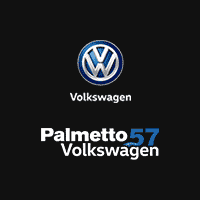 For questions about the referral program, contact our team of automotive experts at Palmetto57 Volkswagen. *See dealer for details. Restrictions may apply. Referrer must have previously serviced or purchased a vehicle from the Palmetto57 Auto Group.